CCF organized a free medical camp for thalassemia community in association with Sankalpa Voluntary Organisation at Khammam on 10th of Dec 2017 . 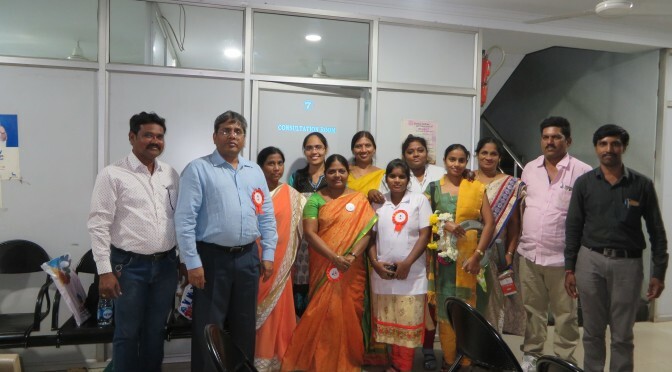 Dr Ramana Dandamudi, Dr Sridevi, Mrs Jaya, Mr Hemanth, Mrs Bharathi, Miss Rani participated in the clinic. 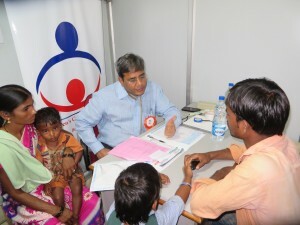 The clinic was attended by 29 patients and the team gave guidance in management of thalassemia. CCF sponsored for the diagnostic tests for 53 thalassemia children and we thank Tapadia diagnostics for getting the tests done at a concessional cost. We extend our sincere thanks to Sankalpa voluntary organisation, Khammam, and Divya Diagnostics, Khammam for all their efforts.